The next best sales season to look out for in Singapore after the Great Singapore Sale (GSS) is not Black Friday. Yes, National Day – when almost every business in Singapore bleed red at the discounts they give but issue plenty of white receipts. I am very enthusiastic about my National Day celebrations because I get to chill out in the comfort of my home to watch the National Day Parade (NDP) on television and order pizza delivery. Also, for the shopaholics, the weeks leading up to National Day are prime marketing periods for retail shops and F&B chains shouting out ‘SG 52 promotions’ and offering ‘52% discounts’. Just look at the success of McDonald’s Nasi Lemak Burger campaign and you’ll understand how creative companies can be nowadays. 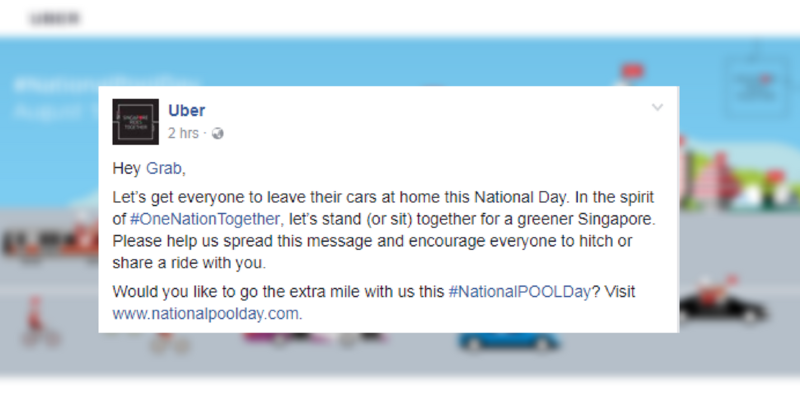 Uber is one of the companies joining the fray and announced today (28 July) their National Day campaign that sounds like a rallying cry for a collaboration with its rival, Grab. That’s a pretty sweet message and all, appealing to your competitors for a good cause. I wanted to find out more about their campaign, so I visited the campaign’s page to find out more. I found out that Uber was promoting their new promotional code for National Day with ‘MAJULAH52′. Commuters get 52% discount, capped at $5.20, on all UberPOOL rides. Could this all just be a bid at getting more people to use Uber on the national public holiday? By drawing competitors’ attention under the guise of a social message, could it be a direct challenge to competitors of Uber? To be fair, they did give us some cool stats. But, who knows? 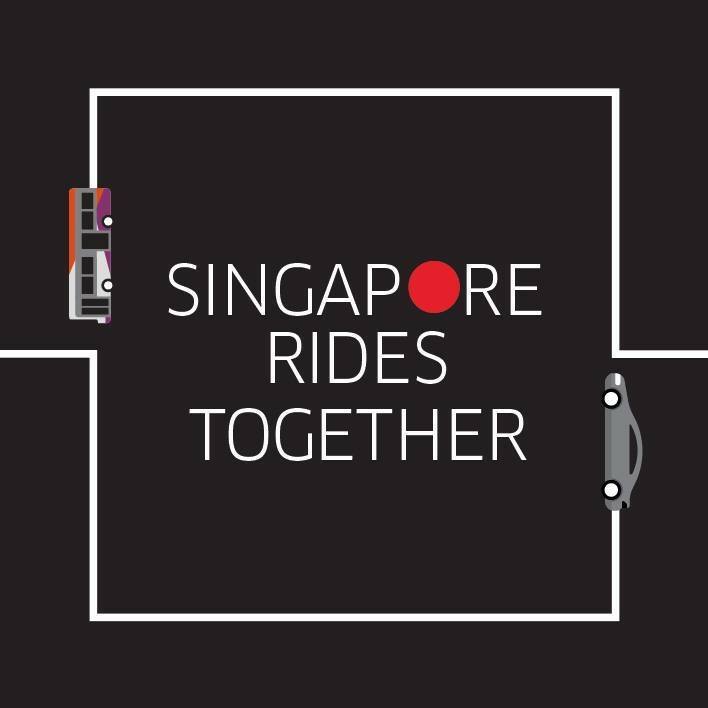 Maybe we’re being skeptical and Uber is serious about lowering car emissions in Singapore as the nation’s birthday gift.